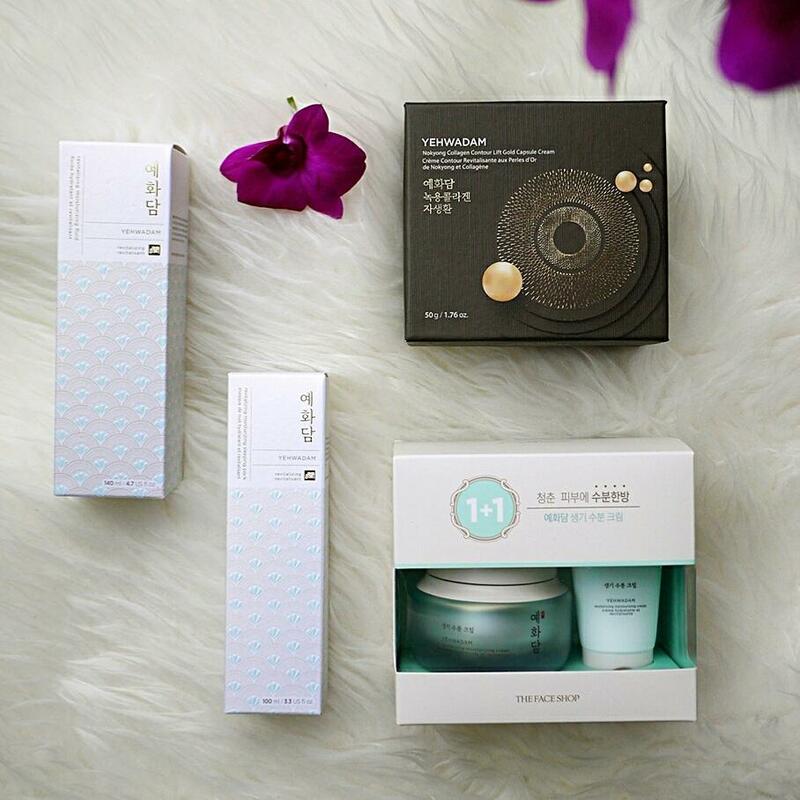 I fell in love with THE FACE SHOP’s YEHWADAM skincare range ever since I try them out last year, it has become my strongly recommended skincare from Korea for its luxury packaging, and great traditional herbal ingredient and the best part is it would not hurt our wallet. 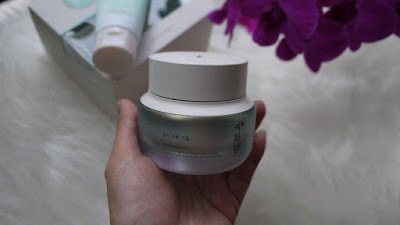 This time, THE FACE SHOP has launched the new YEHWADAM Revitalizing Moisturizing line that hydrates and repair the skin, makes dull skin radiant eventually again. YEHWADAM Revitalizing Moisturizing line is a traditional herbal moisturizing line that contains unique ingredients obtained from Korea that restores dehydrated skin with continuous long-lasting fresh moisture with its fresh flower water formula. YEHWADAM Revitalizing Moisturizing line is formulated with ‘Fresh Flower Water’ which is a secret formula that consists of 5 types of traditional herb flowers with moisturizing properties that re-energize and cool skin with fresh surge of moisture. They are Lotus Flower, Peony, Safflower, Honeysuckle and Chrysanthemum. 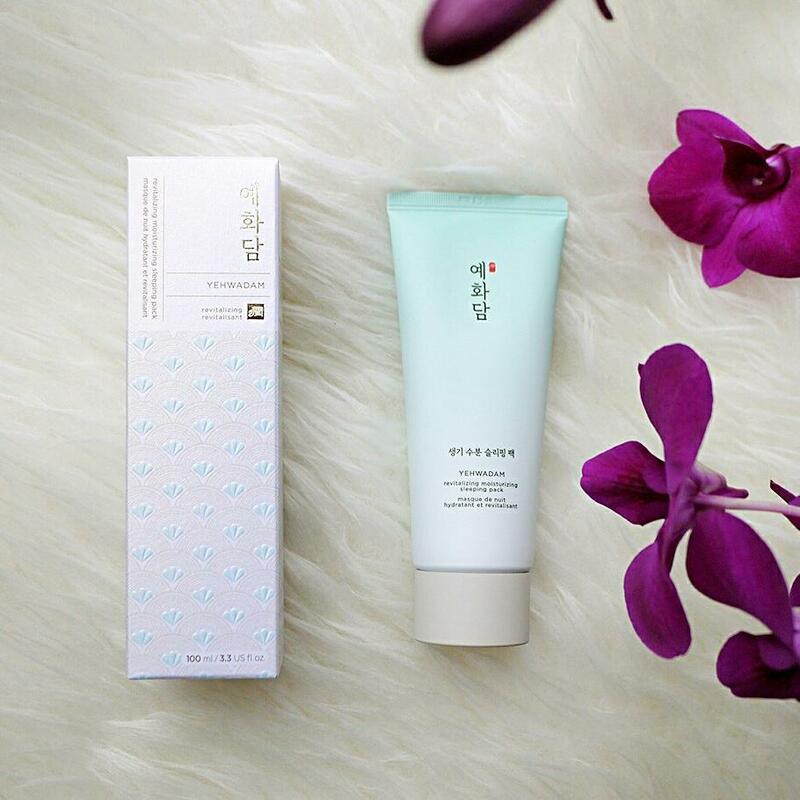 It also contains Gyuwhabang Complex from traditional herbs, including Korean Ginseng, Safflower, and Goji Berry to awaken skin’s innate natural glow, leaving skin revitalized and re-energized. This all-in-one fluid gel-type lotion is used as toner and lotion to replenish and soothes dehydrated skin after cleaning. Comes in a sturdy pump bottle, it is easy to get the amount we need every time. 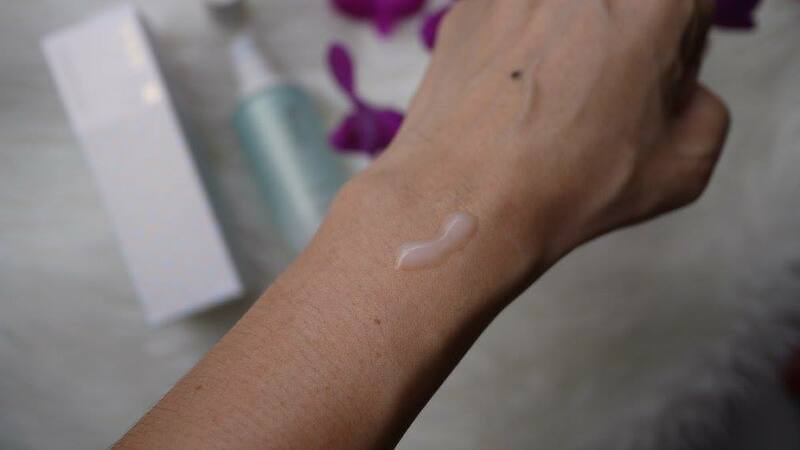 We like that YEHWADAM Revitalizing Moisturizing Fluid is light in texture, perfect for our humid weather. Skin feel resurge and fresh instantly without any stickiness. If you are looking into a simple 2 steps skincare regime, pair this with YEHWADAM Revitalizing Moisturizing Cream to achieve comfortable and supple skin. YEHWADAM Revitalizing Moisturizing Cream gives us a non-greasy fresh moisturizing finish while also provides long-lasting moisture on the skin. 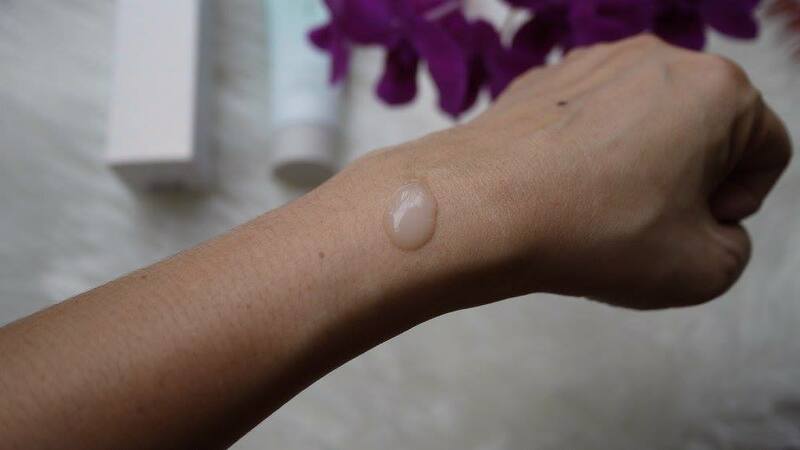 It has enhanced moisturizing effect that contains Ceramide and natural moisturizing factors that are similar to the skin lipids & barrier, which increase the adherence and long-lasting effect of the moisture barrier. 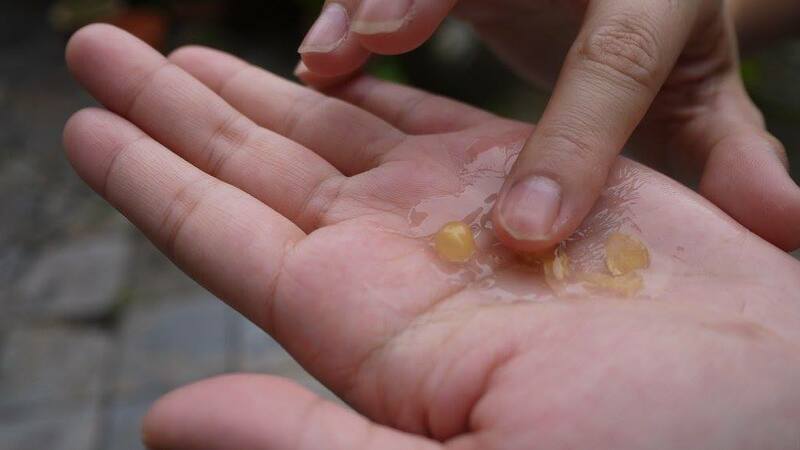 It also incorporate super-moist network system: lasting fresh moisture is possible through the finely structured moisture barrier formulated with moisturizing traditional herbs. We like that YEHWADAM Revitalizing Moisturizing Cream is not heavy and is relatively easy to spread. It absorbs really well, making my skin feels soft, supple and plump. I believe we Asian is familiar with Sleeping Pack, a mask that we apply overnight to recharges dehydrated skin. 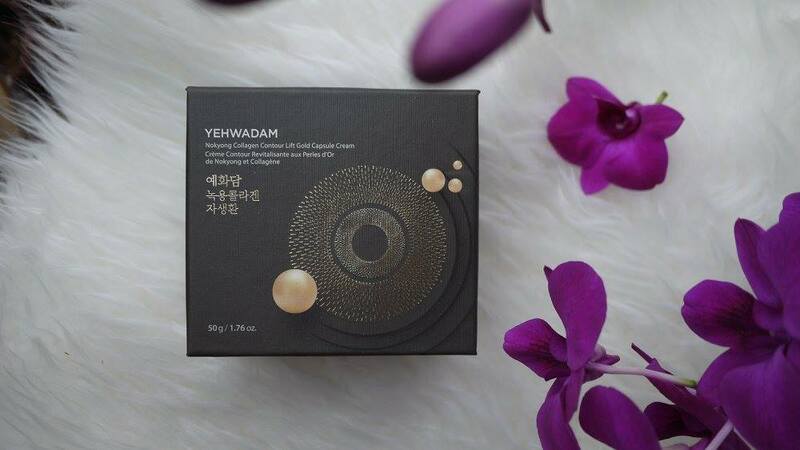 YEHWADAM Revitalizing Moisturizing Sleeping Pack comes with high moisturizing translucent gel texture, which is comfortable to sleep with. It is interesting to know that YEHWADAM Revitalizing Moisturizing Sleeping Pack has similar pH level as skin and wraps around the skin like a blanket, leaving skin smooth and moisturized. The sleeping pack works wonder on my oily combination skin, I wake up with wonderful skin the next morning. 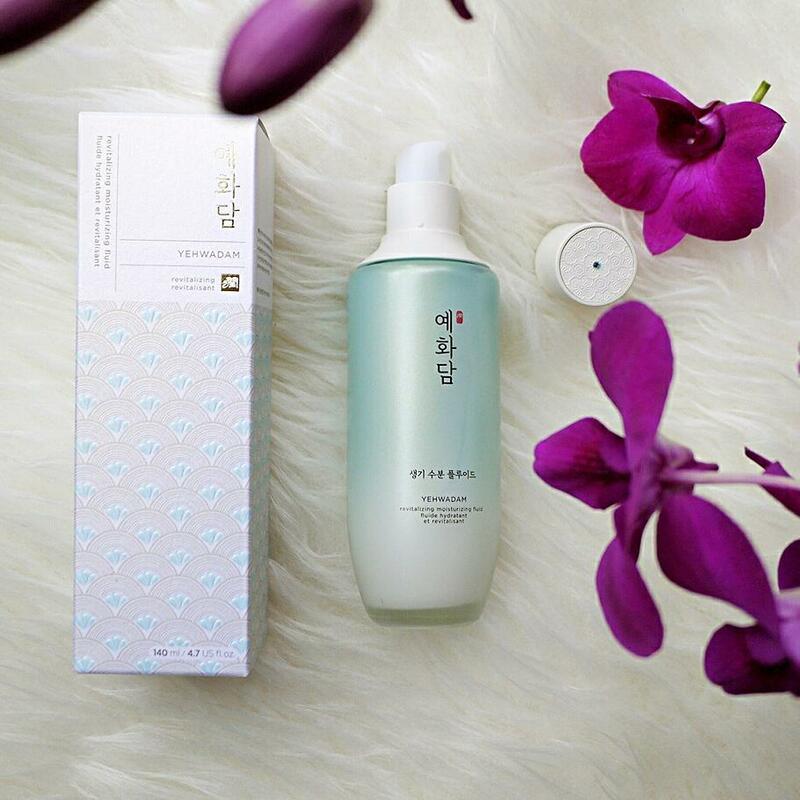 How to use YEHWADAM Revitalizing Moisturizing Sleeping Pack? 1. At the last step of your skincare routine, apply on the tip of your nose, cheeks, forehead, and chin. 2. Massage and spread along skin texture in outward strokes. 3. Leave on overnight while asleep and rinse with lukewarm water the next morning. 4. Use 2~3 times a week. I like the squeeze tube packaging that is easy to squeeze out the amount I needed and hygiene. 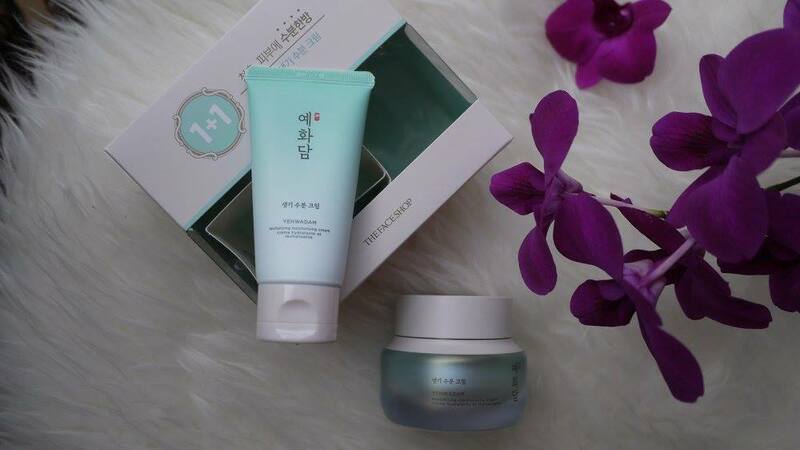 The whole YEHWADAM Revitalizing Moisturizing line has a flowery scent that I find soothing. I do recommend this for oily combination skin like mine. It brings us supple and healthy skin in a long run. Besides, I was also tried Nokyong Collagen Contour Lift Gold Capsule Cream to target my anti-aging concern. 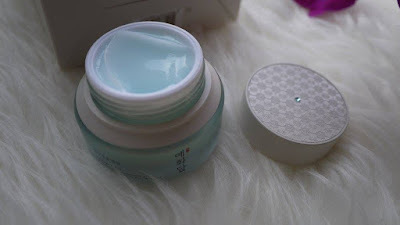 This is my first time trying out the capsule cream line from THE FACE SHOP. I fell in love with the luxurious at the first sight. It looks a lot like my mum’s thousand ringgit’s skincare but more affordable. Nokyong Collagen Contour Lift Gold Capsule Cream is a concentrated lifting care gold capsule cream that contains nokyong collagen ampoule (anti-wrinkle + whitening double functional product) infused in a gold capsule form that tightens and lifts the 8 aging lines for firm, youthful skin. Targeted to the 8 aging lines at forehead, between the eyes, around eyes, under eyes, laugh lines, lips, neck area, and Facial Contour line, Nokyong Collagen Contour Lift Gold Capsule Cream is recommended for customers above 40 year-old. THE FACE SHOP has encapsulated nokyong collagen, golden silk ingredient and 24K gold in gold shimmering capsules and suspended in a clear gel. 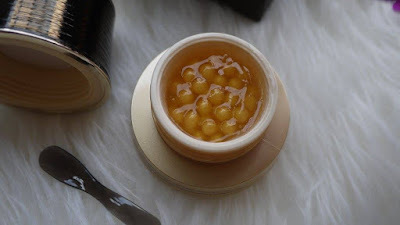 The golden silk tightens and lifts the facial contour Shimmering capsules that softly to the skin in a natto-type texture cream, strengthening the elasticity of sagging skin and delivering concentrated lifting effects. How to use Apply Nokyong Collagen Contour Lift Gold Capsule Cream? As a moisturiser - Scoop out 3 to 4 capsules using the spatula provided, simply crush them at your palm and apply evenly onto forehead and cheek. Reapply to area that need an extra boost of resillence and firmness. You can also mix 2 to 3 capsules to mix with your existing moisturizer to create a add the anti-aging benefits on top of the moisturiser. 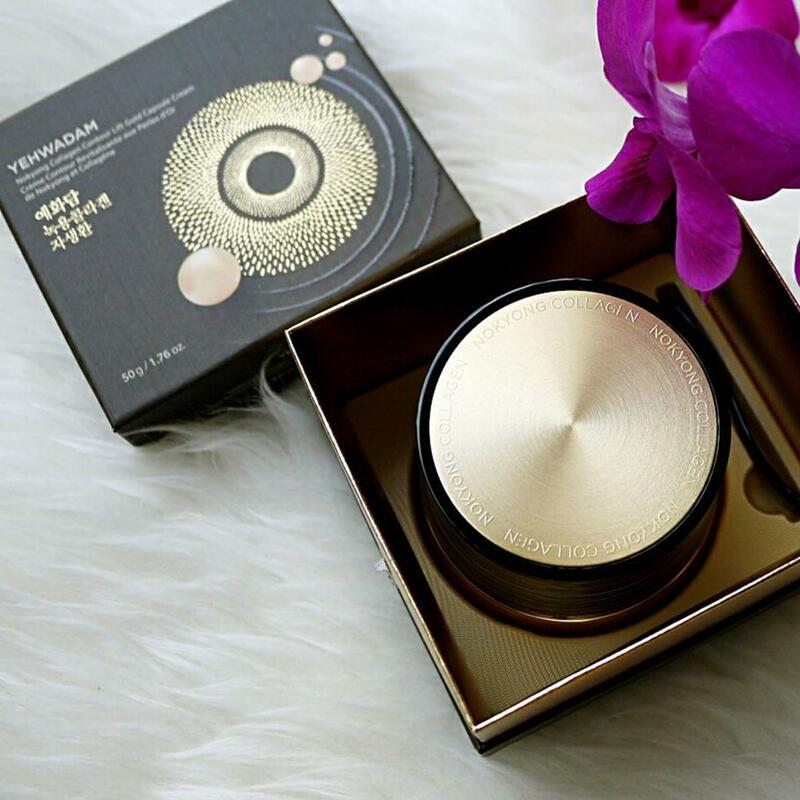 We like that Nokyong Collagen Contour Lift Gold Capsule Cream does not have a strong oriental herb fragrance, but a feminine soft white floral musk fragrance that is soothing to us. It is a premium lifting care to treat and care for lines and wrinkles for every women. It complements with other THE FACE SHOP’s skincare line. Just like any premium skincare in the market, all THE FACE SHOP’s products that we review in this article comes in a very nice paper box. We think everyone should go to THE FACE SHOP’s store and check these products out in person. The Nokyong Collagen Contour Lift Gold Cream make me ineterested. Unic product I think. What an extensive range of products, I have not tried Face Shop before but after reading I am so tempted to check it out. Jika nak muka tegang dan licin kena rajin buat rawatan dengan Nokyong Collagen Contour Lift Gold Capsule Cream tu. Hehe...awesome product. You kalau sebelum dan selepas dan sama cantik macam mana hehehehe tapi best girl now have more beuty product to choose sutable with their skin or not write. 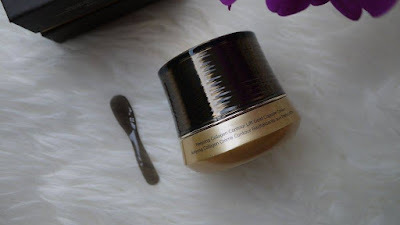 Nokyong Contour Lift Gold Capsule Cream?? Never see this. Will try this..
Oh another new product from FaceShop. I always love their products. I think what caught my attention is their Gold Capsule Cream. Going to check it out. We all strive for a healthy, glowing and younger looking skin. Happy skin is a reflection of a healthy mind and a healthy body. In order to achieve this, most of us try a hundred products but finding the right product matters a lot. Just like I found mine revitol anti aging cream. It’s simple, chemical free, and will give you healthy, glowing, and younger looking skin. Thanks for sharing such an informative post.